ATLANTA—Fifty-five percent of U.S. jails (facilities that house persons sentenced to one year or less) did not receive any H1N1 vaccine in the 2009-2010 pandemic and thus were excluded from the national vaccine campaign, according to a study reported in the Jan. 6 MMWR (Morbidity and Mortality Weekly Report). First shipments of vaccine - technically known as A(H1N1)pdm09 vaccine - to jails also were delayed compared to delivery of vaccine to prisons. In contrast, the study found that only 14 percent of federal prisons and 11 percent of non-federal prisons did not receive the vaccine. U.S. institutions housing inmates sentenced to more than one year are referred to as prisons. The findings were derived from a survey conducted between July and November 2010 using a representative sample of U.S. prisons and jails. The surveyors asked if and when the facilities received H1N1 vaccine during the 2009-2010 outbreak. The research team included epidemiologists at the Rollins School of Public Health at Emory University; the National Commission on Correctional Health Care in Chicago, Illinois; and Correctional Medical Services in Saint Louis, Missouri. Jail and prison inmates are at increased risk for exposure to infectious agents, and lack of vaccination affects not only inmate populations and correctional workers, but also potentially the health of nearby communities, the authors state. Including jail and prison inmates in emergency preparedness efforts, especially vaccination campaigns, is important for the health of communities overall, notes corresponding author Anne C. Spaulding, MD, assistant professor of epidemiology at Emory University’s Rollins School of Public Health. “Inmate populations can include those in the highest risk categories for influenza, such as pregnant women. Access to healthcare may have been poor before incarceration. The typical jail detainee is released within a couple of days and returns to mix with the general community,” explains Spaulding. Approximately 2.3 million inmates were confined in U.S. prisons and jails on any given day in 2009, and over the course of the year approximately 10 million people spend some time in these facilities, according to prior research by Spaulding. 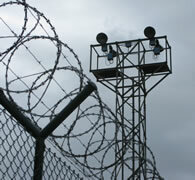 “Higher priority may need to be placed on provisions for high risk populations such as jail inmates,” the report states. “Public health needs to protect persons in jails who might otherwise be missed during vaccination efforts and pandemic influenza planning,” says Spaulding. In addition to Anne Spaulding, the authors were Alice S. Lee, MPH, David M. Berendes, MPH, Katherine G. Seib, MSPH, Ellen A.S. Whitney, MPH, Ruth L. Berkelman, MD, and Saad B. Omer, PhD, from Emory University; R. Scott Chavez, PhD, National Commission on Correctional Health Care; and Patricia Lynn Meyer, Correctional Medical Services.